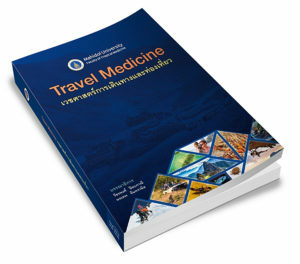 In our travel clinic, we receive many questions about JE vaccine. Since in western country, this vaccine is very expensive, so many travelers would like to get JE vaccine in our clinic. Here are some common questions about JE vaccine in our clinic. For those who have not read this article, “Should I get JE vaccine for traveling in Asia?”, please go and read it first. Which types of JE vaccine are available in the market? 1. Live attenuated SA-14-14-2 JE vaccine (CD JEvax, Imojev). This is the main JE type of vaccine that we give to travelers in our travel clinic. They are very good vaccines and their safety profile are excellent. CD JEvax is made from China and has been use in many countries in Asia since 2006. Many millions children in Asia has received this vaccine. While Imojev is made from Australia, it is a newer vaccine. Its efficacy and safety is considered the same as CD JEvax. For travelers, single dose of lived JE vaccine gives good protection for approximately 1-2 year. This vaccine is usually not available in the US or Europe. Since CD JE Vax and Imojev is a live vaccine, so we could not give this vaccine to a pregnant women, people with deficiency in immune system or people who are on immunosuppressive drug. 2.Inactivated Vero Cell Culture-Derived JE Vaccine. There are two brands of vaccines i.e. JEVAC and Ixiaro. Ixiaro is much more popular and is licensed and available in the US and in European countries. It requires two doses in the interval of 4 weeks apart. Some new study propose that the schedule may be shorten to 1 week apart. However 4 weeks interval is still a standard practice today. The safety profile of Ixiaro is very good. However it is not licensed in Thailand. Do you have Ixiaro in Thailand and how much does it cost? No, Ixiaro is not licensed in Thailand. As far as we know, the only country which Ixiaro is licensed is Singapore. Which JE vaccines should I get? It depends on which vaccine is available in your setting. In most western countries, only Ixiaro is available. So if you choose to get that one, please complete 2 doses before visiting Asia. Since Ixiaro is not licensed in most country in Asia. However, if you choose to get vaccine in Asia, we recommend live attenuated JE vaccine. The great benefit is of lived vaccine is: you require only one single shot. There is no need for a booster. And one shot can last for 1-2 years. In our clinic, we have two brands i.e. CDJEvax and Imojev. The safety and efficacy is considered the same. JE vaccine is very expensive in my country, can I come to get it here? We realize that JE vaccine including Ixiaro is very expensive in the western country. One shot can easily cost up to 200 USD. While our JE vaccines i.e. Imojev/CD JEvax are very cheap i.e. approximately 16 USD. There are some reasons behind. So some travelers may want to get the vaccine in Asia. You may choose to do that. However, ideally, every travelers should get all vaccines before arrival. Since all vaccine will not work immediately, it need time to before it will become effective. In case of JE vaccine, normally, it will take 2-3 weeks before you are protected. So it is recommended to complete the shot as early as possible is the best way to ensure maximum protection. And do not forget to prevent yourself against mosquito bite i.e. use insect repellent, bed net. What should I do if I get the first shot of Ixiaro, but do not have time to get the second one in my country. Can I get your vaccine instead? Ideally, you should get the same vaccine in order to achieve the best possible protection. So the best way is to fly to get Ixiaro in Singapore. However, if you cannot do that, you may choose to get our live vaccine. Getting different JE vaccine has no safety concern i.e. the risk of side effect is not higher than general population. However, there might be some theoretical concern about the efficacy of different types of vaccine. The efficacy may not as good as, get the same one. But unfortunately, there is not much information about that. However, in term of efficacy, getting different JE vaccine as the second dose is much better than receiving only one shot of Ixiaro. My wife has asthma due to being allergic to animals. She uses an inhaler rarely. Would she be able to receive the live vaccine? Only the use of steroid inhaler is not the contraindication for live vaccine.